Things change and often for the better. When I got my first Kindle a few short years ago, it was because I wanted to be able to continue my own learning while I traveled. Since I typically take at least a few good jewelry making books with me on vacation or tour, managing the weight of my own suitcase was always an issue. Also, when Kindles first came out, there weren't many wire jewelry making Kindle books available. Not so today. And aren't we lucky to be able to have such lightweight AND inexpensive instructions now available to us! 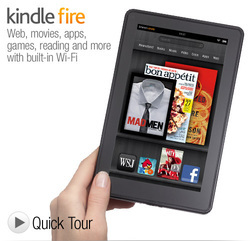 For more information about how you can use the Kindle Fire to your advantage as an art jeweler, simply CLICK HERE. Welcome to Best Wire Jewelry Making Books. Come and take a stroll through our best virtual bookshelves. 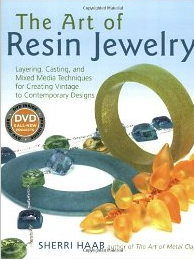 Relax, get comfy now, and browse some of the best wire jewelry making books on the market today. Lucky us to have such talented artists to teach and inspire us! Make Woven Wire Jewelry by Lisa Van Herik is a 50 plus page downloadable ebook that explores round braiding with wire. 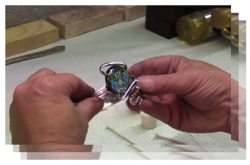 This remarkably simple technique creates complex looking woven wire jewelry in less than half the time of other woven wire jewelry making techniques. Easy to learn with this thorough ebook, round braiding with wire is an incredibly diverse and easily manipulated and morphed method of making wire jewelry. Both beginners and advanced wire jewelry designers can take the journey to learn how to make woven wire jewelry with this book. Make Woven Wire Jewelry is the culmination of Lisa's many years of exploration with this technique and the ebook comes loaded with not only multiple tips and tricks to working with it, the book also comes with four detailed instructions for making necklaces and a pair of earrings. For more details, CLICK HERE. One of the things that I like about this DVD is that adding stones to metal jewelry always makes the jewelry pieces so much more interesting. Also, if you're a metalsmith, you know how tedious it can be to set stones in bezels although that's not a problem with fork jewelry! Making fork jewelry is a wonderful new option for beginning metalsmiths or beaders looking to extend their skills in a simple and easy way. What a treat to have found this DVD! I was so delighted when I found this new product, I just had to include it. While it's a DVD instead of a book, this is a rare find and I'll tell you why. I often cruise fine art and craft shows looking for unusual jewelry and in just the past six months I've seen two very unique fork jewelry lines. The jewelry was just stunning but I couldn't tell at first that it was made from antique forks. The pieces were just drop dead gorgeous and very elegant. Both of those jewelry lines had incorporated stones rather seamlessly into the fork design.I well remember fork jewelry when it really looked like forks so it's delightful to see this medium become so sophisticated and upscale. Well, now I've found this DVD that can teach you exactly how to do the same thing in your own style. 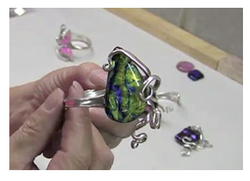 Even if you're not into fork jewelry,click hereto see some rather beautiful work and enjoy the short video on how to make this intriguing jewelry. 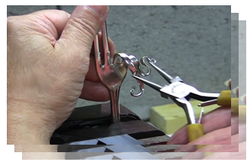 Fork jewelry is one of the easier types of jewelry to make so if you're a beginner, you might want to check this out. For more information or to purchase simply click here. 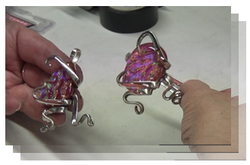 I've just been given the opportunity to watch the full length DVD of Maryanne Cherubino's Making Fork Jewlery: How To Make Amazingly Unique Fork Bracelets and Necklaces and wanted to fill you all in. 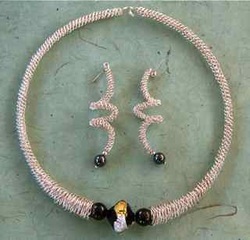 This one hour or so DVD takes you through making not one, but TWO fork bracelets and one neckpiece. So if you miss a part in the beginning, Ms. Cherubino repeats the entire process for you again. And then she does it a third time, slightly altering the process to make a neckpiece. She starts the video off by giving you a review of the simple tools you'll need and why. She also tells you where to get these tools. You'll then get to watch her go thru EVERY step in the process of making jewelry from forks. NO HEAT REQUIRED which is an added treat for beginners in particular. You'll see her hammer, polish, bend and grind off any sharp edges. 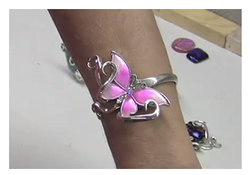 She'll also show you how to add stones or centerpiece flat beads. She does all this thorougly so that you know exactly what to do and when to do it. This is a wonderful method for learning how to not only make fork jewelry but to learn some of the essentials of metalsmithing: grinding down metal safely and polishing up your silver. Being able to play off the gorgeous detailed embellishment of existing forks offers added inspiration to boot. In all honesty, this video is so complete that you should be able to jump right off your couch and start making fork jewelry. The other nice thing about making fork jewelry is that it's very fast compared to making other types of jewelry. From seeing the entire process, start to finish, I'd say you could probably complete of few of these lovely pieces within an hour if not more. All of this is to say that I'd definately recommend this DVD with confidence. 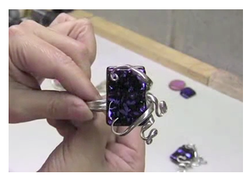 Again, if you're intrigued by this method of making jewelry, take a minute to review the quicky short video HERE. I worked as a commercial artist for a number of years. During that time, I worked for a resin manufacturer making jewelry and tabletops out of resin and then writing how-to booklets. My enthusiasm for this resin DVD springs from having expertise in both wire and resin and the possibilities for combining the two are exceptional. Making embellishments out of resin to integrate with your wire work is the first application that comes to mind. But imbedding wire into the resin just blows my mind as the possibilities are endless. Finally, I know thru my students that many are intimidated by working with resin. I was initially as well but I can tell you now that that simply needn't be so. Working with resin is a very simple and straightforward effort. And your skill with it happens quickly. It does help greatly in the beginning of your resin work to actually SEE the process being done. Having the hardcopy book along with the DVD for reference is just the best learning you can get next to attending a workshop. So anyway, I'm just thrilled to be able to offer this DVD for your consideration. More details and ordering information here.